For reasons unclear this remaining blog entry from my Argentina trip has remained parked in “draft” mode for over two years, but the experience is far too rich not to share, and it’s a fitting epilogue! A taste for Malbec honed during my visit to Mendoza and regularly refreshed to this day is a constant reminder of a entire delightful day spent winery-hopping. 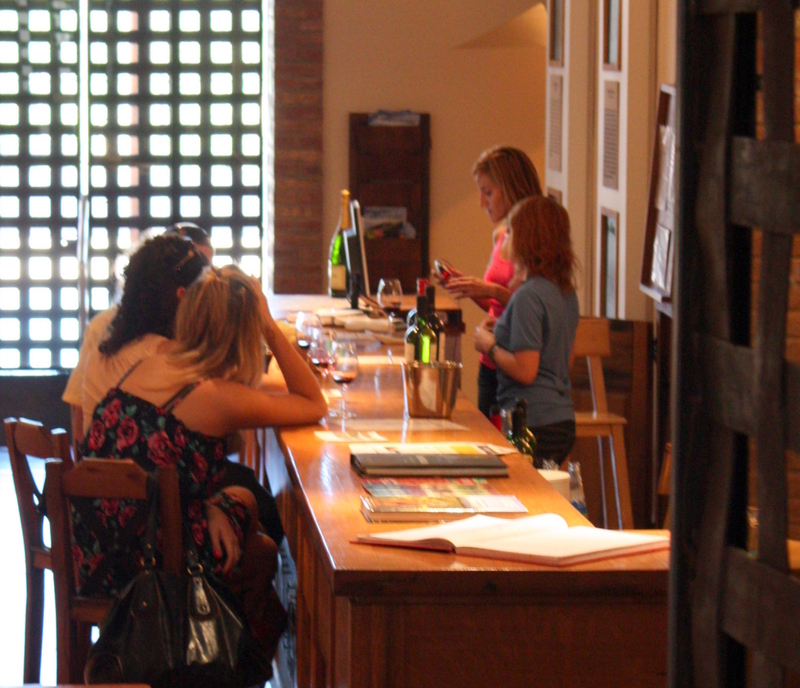 A privately guided tour and tastings at three Mendoza wineries is my only real splurge on this trip. 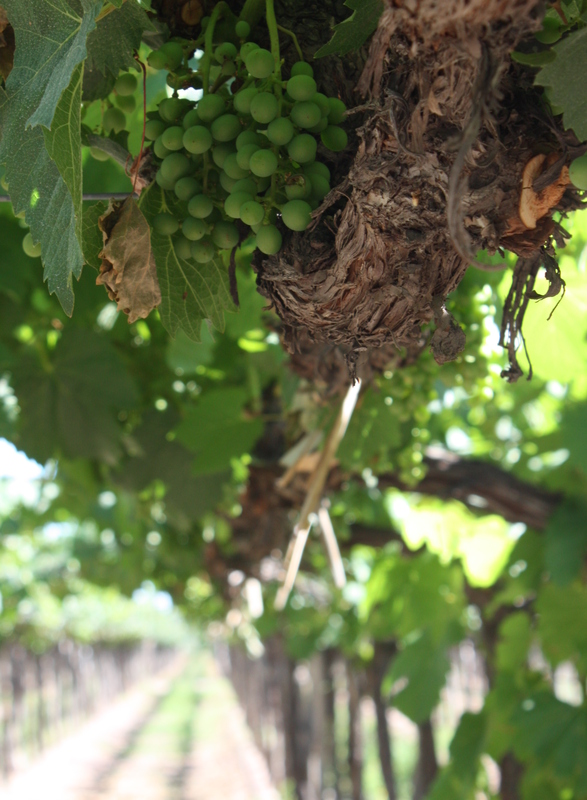 The cultivation of grapes and the making of wine has been a part of Argentina since the Spaniards and Jesuits first arrived almost 500 years ago. British investment funded the development Argentina’s railroads and Edmund Norton was the British engineer responsible for pushing the track through the Andes. 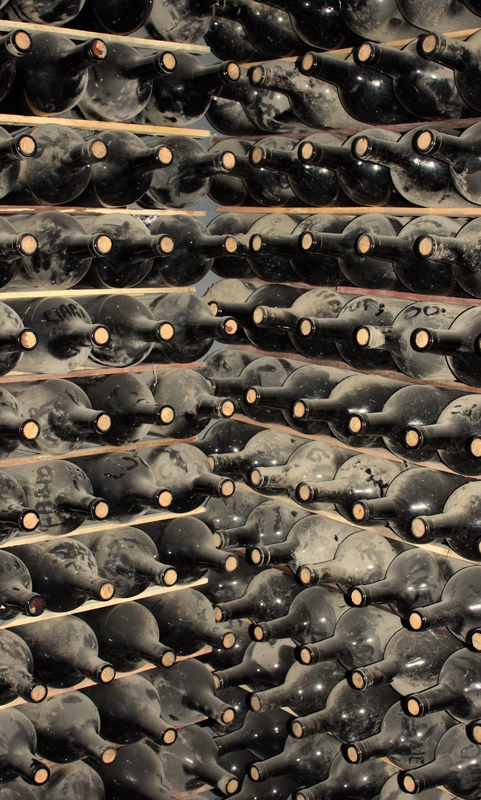 In 1895 he began importing French vines to establish the winery in Mendoza which still bears his name. It’s just one more aspect of the Anglo-Argentine connection which emphatically contradicts the message of the brief Malvinas conflict. 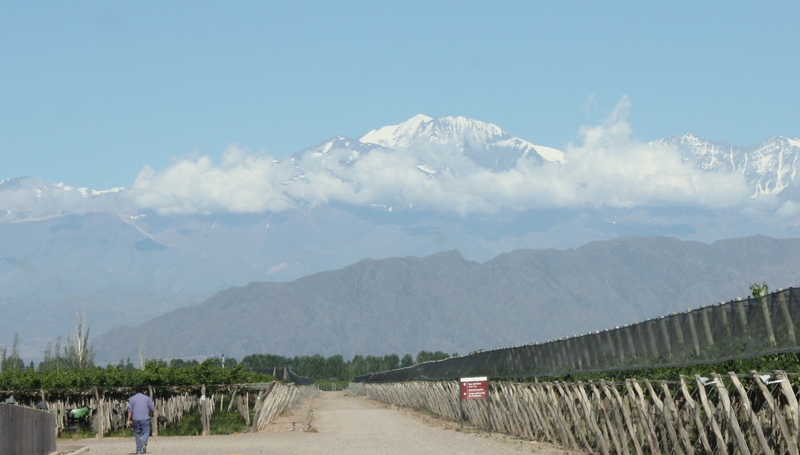 All of the Mendoza vineyards I visit have two things in common. One is the canopy screens suspended above the vineyards to protect them from frequent hailstorms peculiar to this microclimate. I’m told that the Argentine air force is actually employed to seed storm clouds in order to blunt storm development. The other is an irrigation system that stores mountain runoff in dammed lakes and delivers it to the otherwise arid region either as drip irrigation or the older field-flooding method. Interestingly enough, historical accounts confirm that the Spaniards found upon first arriving in the area that indigenous peoples had employed a similar method to irrigate their crops there for centuries. Cecilia speaks excellent English and patiently endures my torrent of questions about daily life in Argentina that have nothing whatsoever to do with Mendoza or winemaking. A designated driver notwithstanding, they wisely determine that a scheduled first tasting a bit before noon strongly suggests a 3-winery limit to my day. 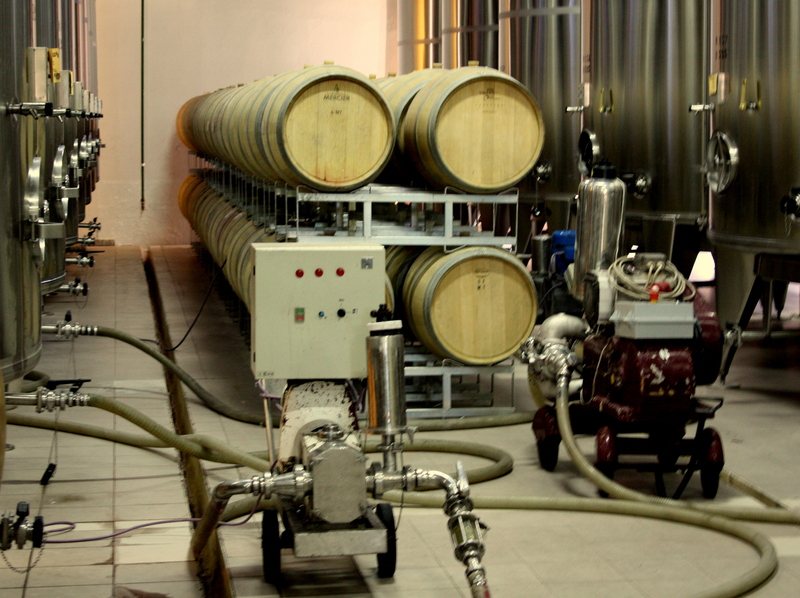 They couldn’t have chosen three wineries capable of delivering a more diverse experience. Bodega Norton. The view from the Norton vineyards of the snow-capped Andes, rising high above the two lower, nearer ranges, is postively breathtaking. 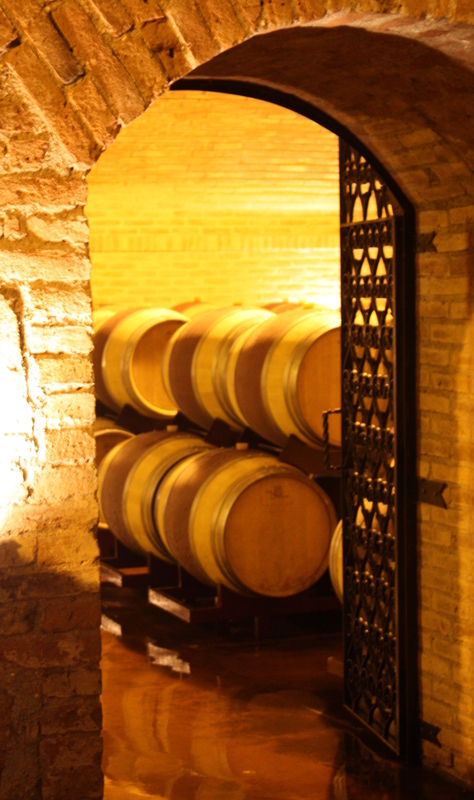 Norton was among the first of the Argentine wineries to make a name for itself in the States when Argentina began in the ’90’s to shift from production of inexpensive wines for domestic consumption to quality wines for export. The vineyards and winery are now privately held by the Swarovski family of crystal glass fame, and their investment has updated it into a state-of-the-art winery. 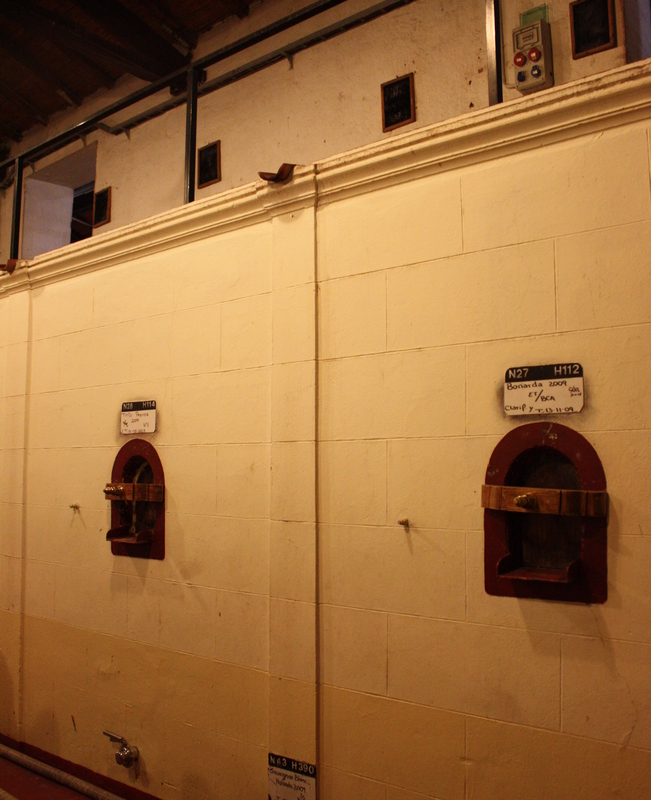 The tasting room is contemporary in its design and the vats are all stainless steel, but there’s lots of charm remaining in cellars racked with miles of bottles! Find more on Bodega Norton here. Bodega Alta Vista. More history remains intact at Bodega Alta Vista than at Norton even though it, too, is now owned by a multi-national winemaker. Most interesting here were the old concrete vats still in use. 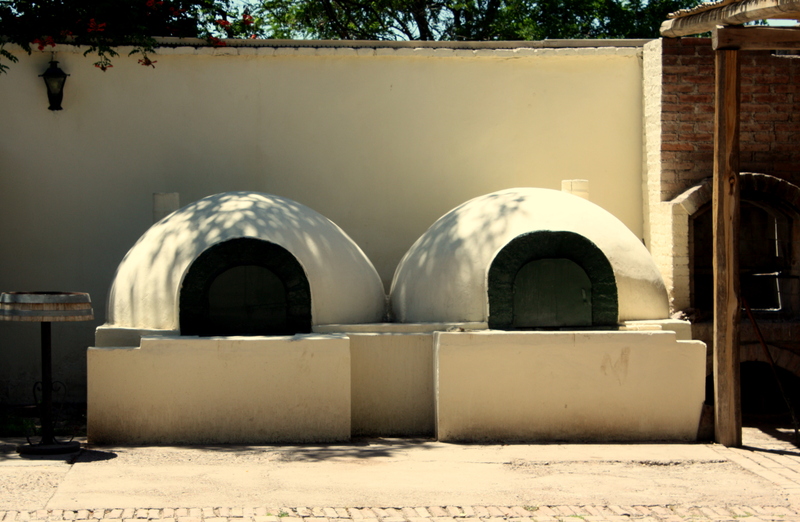 In order to maintain the proper temperature during the coolest months of the year, the original owners stoked wood fires under the vats. Find more on Bodega Alta Vista here. Bodega La Garde. 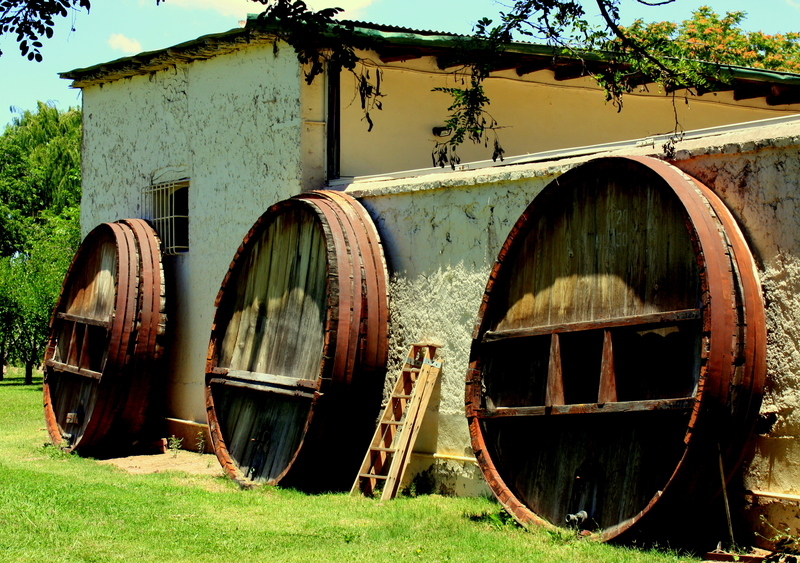 If I had in my mind’s eye an image of the quintessential Mendoza winery it’s Bodega LaGarde, which has been family owned and operated since 1897. The city has crept to the winery’s edge in the years since it was built, but it still retains all of the charm of an old country chateau. 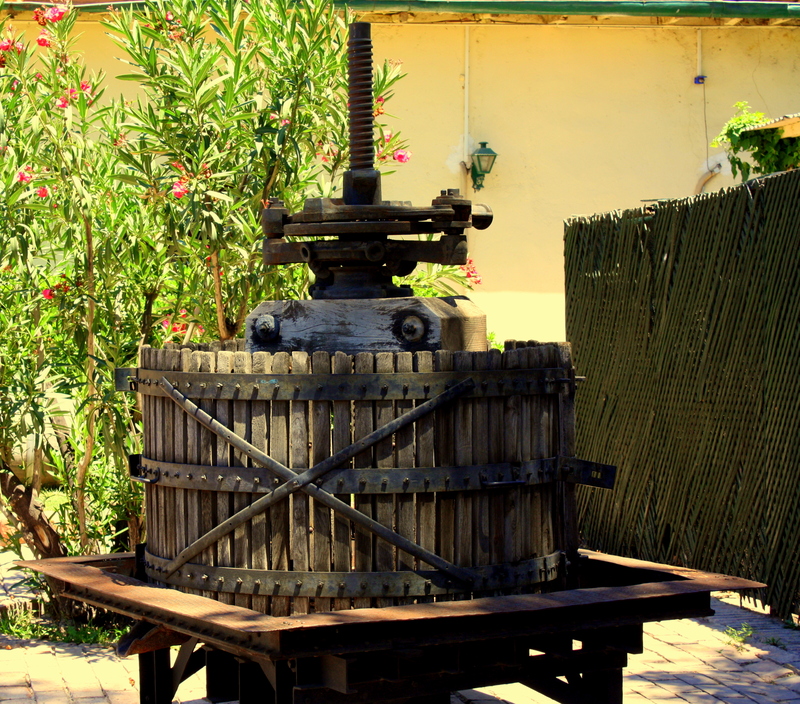 Scattered across the grounds are winemaking implements from a bygone age. A master chef serves gourment meals in a beautiful dining room, and it is here that we lunch fashionably late in the day. The atmosphere is serenely other-wordly, authentic and timeless. I could sit here until the moon rises, but I have a morning flight back to Buenos Aires. The Malbec here is exquisite, and three bottles of the 2007 D.O.C. are headed for my bags and on to the States. Find more on Bodega La Garde here. • “The Omnibus.” Forget everything you’ve learned about bus travel in the States and take a luxury bus across the Pampas. Cappuccino, anyone? 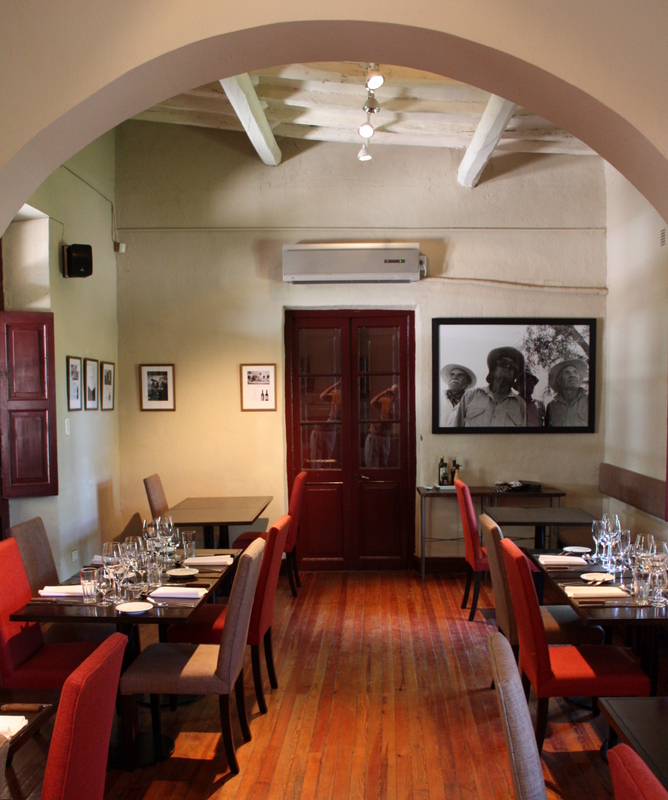 • “Mendoza First Impressions.” European architecture and the casual class of winemaking towns all over the world make for a hugely pleasant surprise here at the far edge of the Pampas. • “The End Of West.” Travel into the Andes past hot springs used by the Incas and on to the Chilean border. • “Leaving Mendoza”. Magical light and lively music fills the air on my last evening stroll around the city.